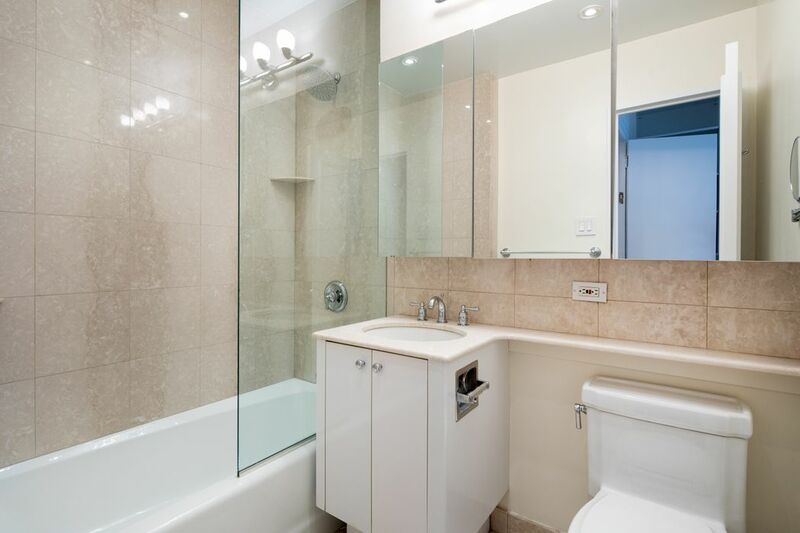 45 East 89th Street 37F, New York, NY 10128 | Sotheby's International Realty, Inc. 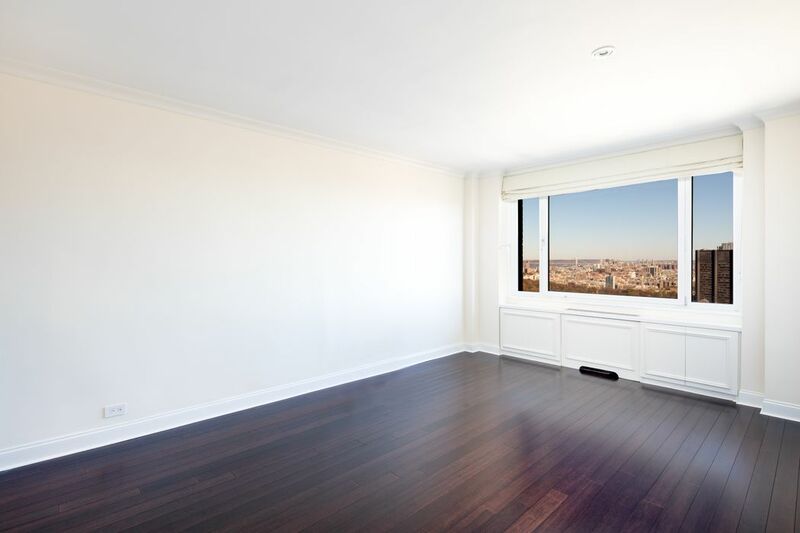 This spacious, light-filled 4 bedroom home features amazing view of Central Park, Reservoir, GW Bridge, East River and Panoramic city from the 37th floor of full service Condop located on Madison Avenue in the heart of Carnegie Hill. 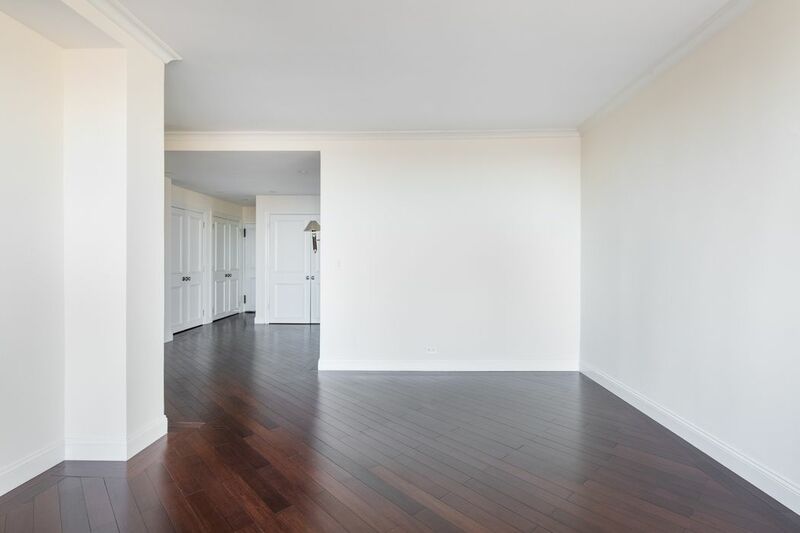 This home offers wonderful open living space, including a dining area, living room and gracious gallery, 4 well-proportioned bedrooms and 4 full bathrooms. The chef’s windowed eat-in kitchen offers Viking range, microwave, dishwasher, wine cooler and a Sub-zero fridge as well as Bosch washer and dryer. 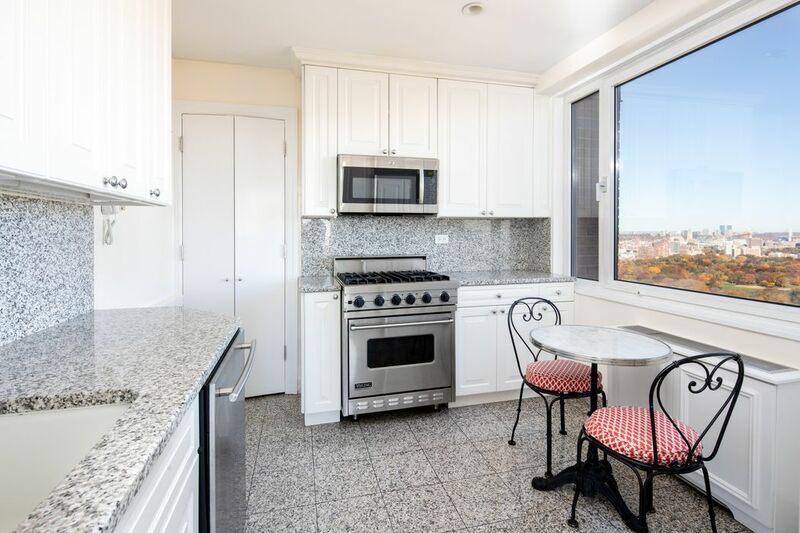 The oversized kitchen window overlooks Central Park and Reservoir! 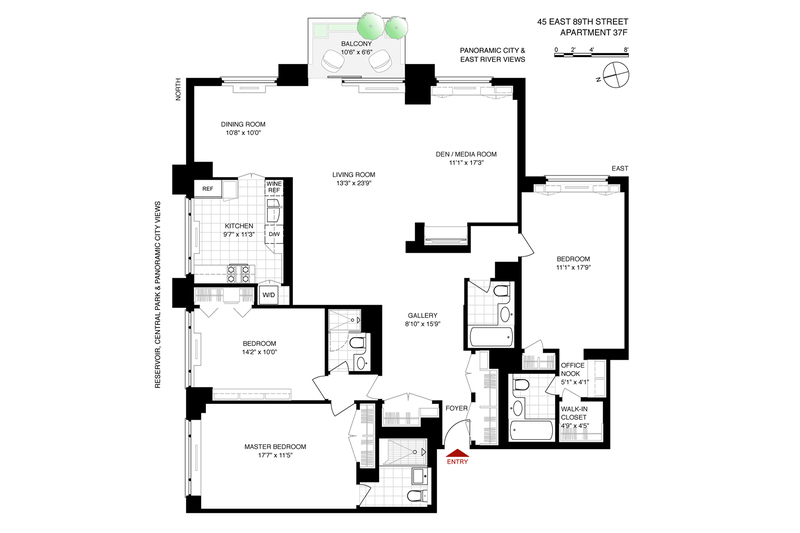 There are four bedrooms including the master suite and three other bedrooms which one of them is currently used as den/media room to enhance the luxury living room space with wall of windows. 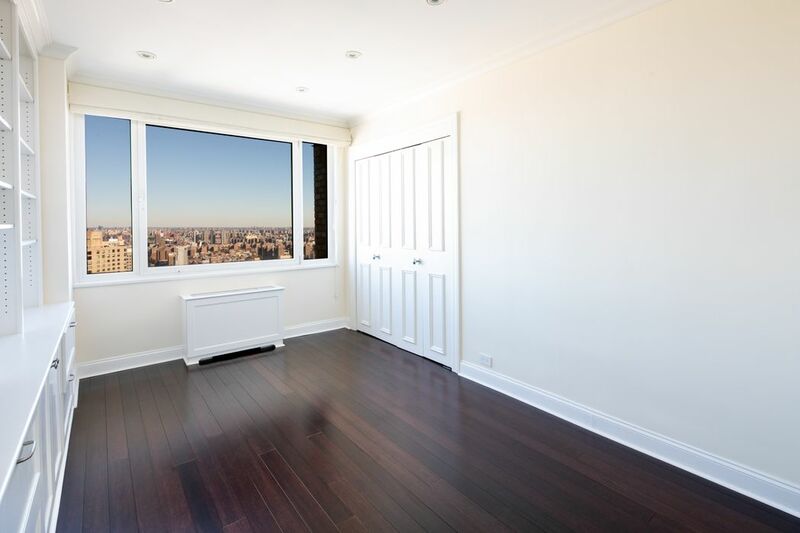 The master suite and the second bedroom features oversized window facing the Northern part of Central Park with breathtaking Reservoir view. 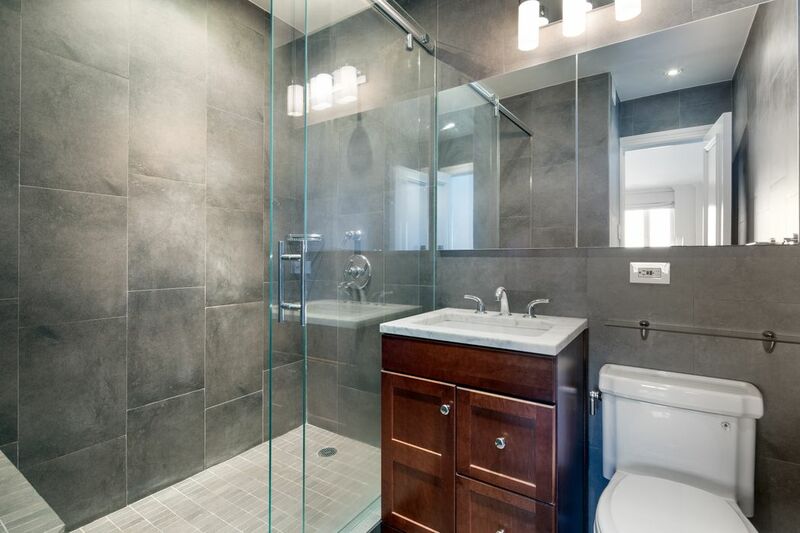 The third bedroom faces East could be a master suite with its own bathroom, dressing room and walk-in closet. Off the living room is a large balcony with magnificent Southern, Eastern and Northern open views. 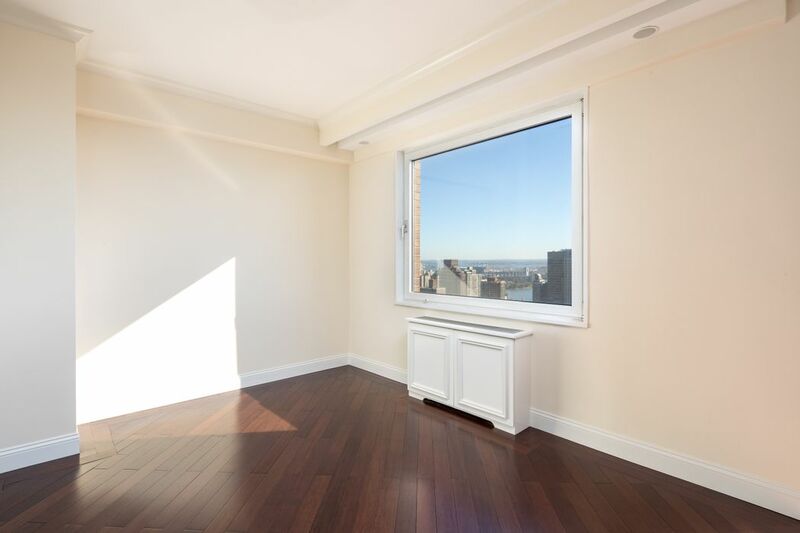 Other special features of this home include high ceilings, new hardwood floors, crown moldings, many closets, built-in book shelf and cabinets throughout, and the Views!! Available immediately upon board approval. Non Smokers please. Sorry, the building does not allow any pets for tenants. Non Smokers please. 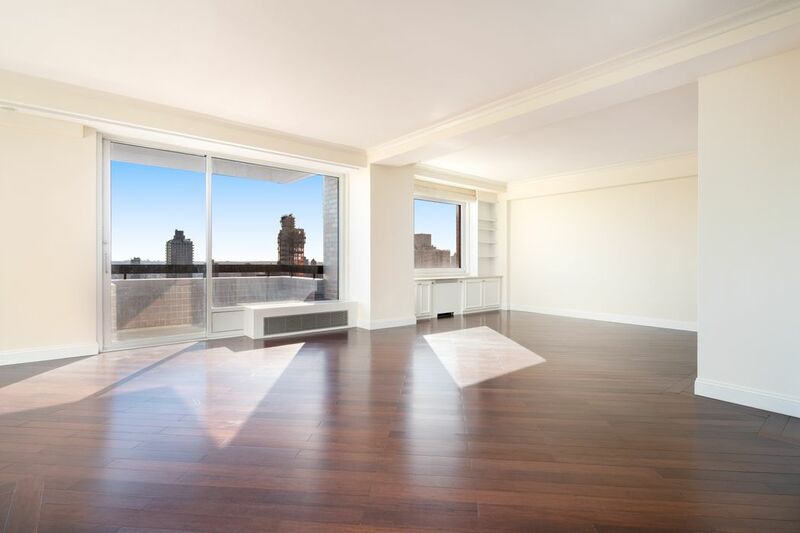 45 East 89th Street is a high-rise Condop with No board interview. 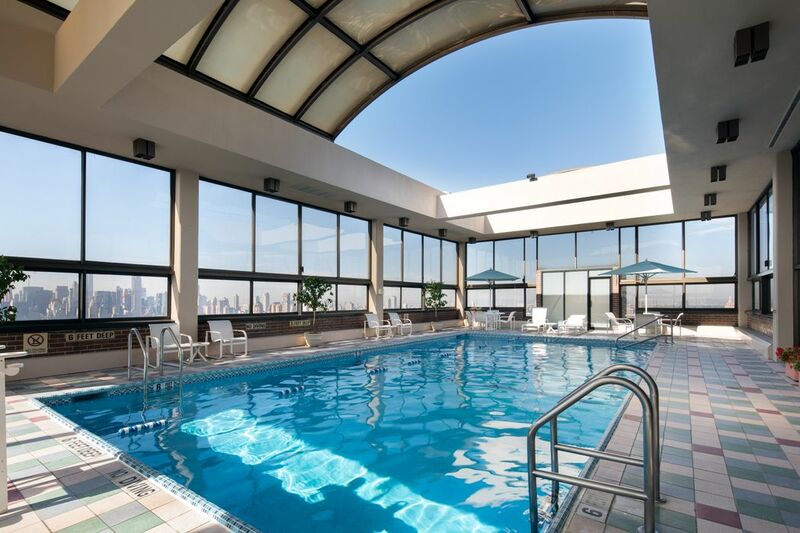 The building offers 24-hour doorman, concierge, live-in super and it features a stunning roof top swimming pool, gym, roof-deck with amazing open views. Bike room and storage bins are available at first comes first serves basis. 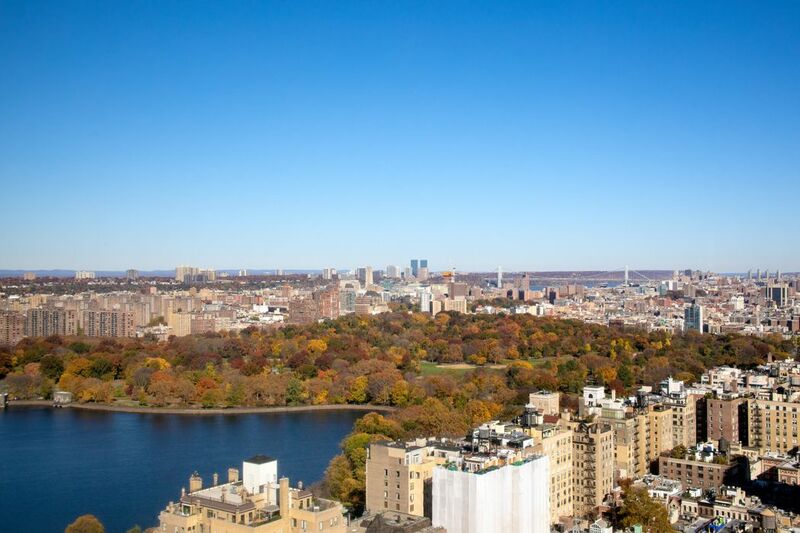 Residents enjoy a porte-cochere for easy unloading and dropping off, a short walk to Central Park, Reservoir, Guggenheim Museum, many high-end and neighborhood shops, restaurants and cafes.